Bolan, Kim. "Air India Flight 182 Bombing". The Canadian Encyclopedia, 23 February 2018, Historica Canada. https://www.thecanadianencyclopedia.ca/en/article/air-india-flight-182-bombing. Accessed 18 April 2019. The bombing of an Air India flight from Toronto to Bombay on 23 June 1985 — killing all 329 people on board — remains Canada’s deadliest terrorist attack. 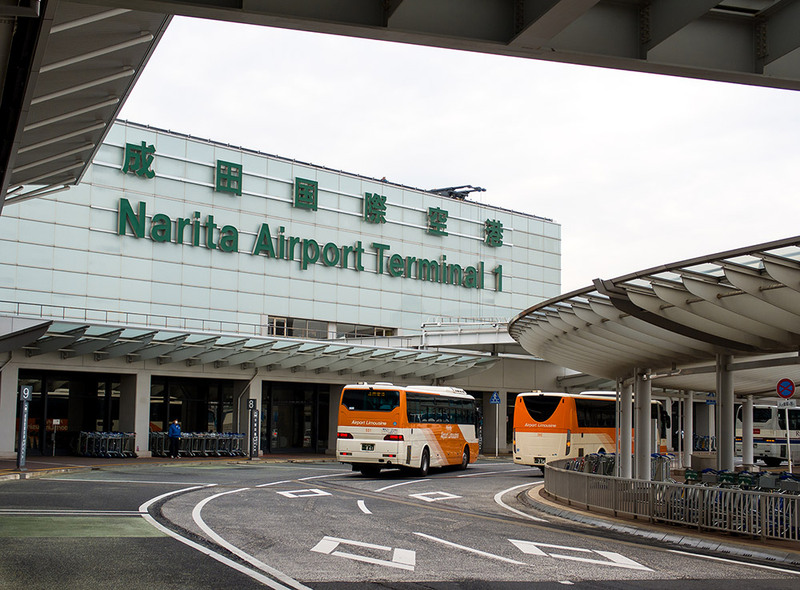 A separate bomb blast the same day at Tokyo’s Narita Airport killed two baggage handlers. After a 15-year investigation into the largest mass murder in the country's history, two British Columbia Sikh separatists were charged with murder and conspiracy in both attacks. They were acquitted in 2005. A third accused, Inderjit Singh Reyat, was convicted of manslaughter for his role in building the two bombs. The memorial, in Etobicoke, Ontario, to the victims of the 1985 bombing of Air India Flight 182. 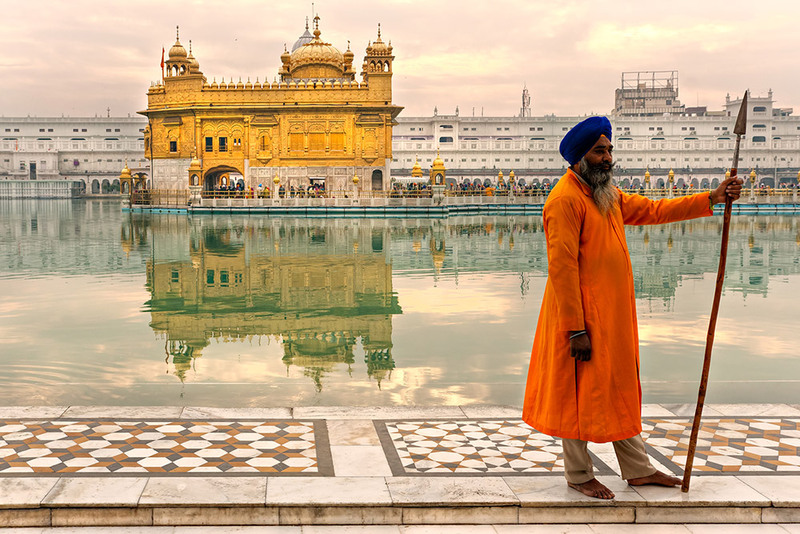 In 1983, armed Sikh separatists took over Sikhism’s holiest shrine — the Golden Temple complex— in Amritsar, India. From within the temple compound, charismatic separatist leader Jarnail Singh Bhindranwale was agitating for a Sikh homeland, called Khalistan, to be carved from the northern Indian state of Punjab. In early June 1984, Indian prime minister Indira Gandhi ordered Operation Bluestar, an attack by the Indian army on the temple, aimed at expelling Bhindranwale and his followers. Bhindranwale and hundreds of innocent pilgrims were killed, inciting demonstrations around the world. Sikh pilgrims in the Golden Temple on December 17, 2007 in Amritsar, Punjab, India. Thousands of Sikh protesters took to the streets of Vancouver and other Canadian cities, some calling for violent revenge against Gandhi and the Indian government. Among those advocating militancy were two leaders of the Babbar Khalsa extremist group — its founder Talwinder Singh Parmar and his lieutenant Ajaib Singh Bagri. On 31 October 1984, Gandhi was assassinated by her Sikh bodyguards, setting off anti-Sikh riots across India that left thousands dead. The violent rhetoric in Canada by groups like the Babbar Khalsa and the International Sikh Youth Federation intensified. Some targeted Sikh moderates like Ujjal Dosanjh, a prominent Vancouver lawyer, who was jumped and beaten with a reinforced steel bar in February 1985. Dosanjh was so concerned about the rise of militancy that he wrote to Prime Minister Brian Mulroney in April 1985, warning him that the government needed to intervene before something more serious happened. The fledgling Canadian Security Intelligence Service (CSIS) was paying attention to Parmar and his associates. CSIS agents were following Parmar and intercepting his phone calls from March to June 1985. On 4 June, they tailed him to Duncan, on Vancouver Island, where he met Inderjit Singh Reyat, a local marine mechanic, and also a mystery man dubbed Mr. X. Parmar, Reyat and Mr. X drove to a wooded area outside of town, got out and went into the trees. The agents could no longer see them. But minutes later, they heard an explosion as the trio tested materials to be used in the Air India bombing. On 19 June, one of Parmar's associates bought two Canadian Pacific Airlines (CP) tickets, each one connecting with an Air India flight. They were paid for using $3,005 cash and picked up at CP's downtown Vancouver office. The tickets were booked in the names of M. Singh, who had a seat on a flight to Toronto that connected with Air India Flight 182, and L. Singh, who was booked on a flight to Tokyo with a connection to a second Air India flight. The real identities of the two men have never been determined. On 22 June — arguably the most important day for the Air India conspirators — CSIS agents were told to call off their surveillance of Parmar. Suitcases were checked in at Vancouver International Airport for the two CP flights and for the two connecting Air India flights. Neither passenger, whose names appeared on the tickets used to check the suitcases, showed up to board the airplanes. Japanese baggage handlers Hideharu Koda and Hideo Asano were unloading suitcases from a CP flight at Tokyo’s Narita Airport on 23 June 1985. As they grabbed one of the bags from Vancouver that was tagged for an Air India flight, it exploded. They were killed instantly. At the same time, Air India Flight 182 had almost completed its six-hour transatlantic crossing after picking up passengers in Toronto and Montréal. There was nothing eventful about the overnight flight bound for Delhi and Bombay. Captain Narendra Singh Hanse and his co-pilot Satwinder Singh Bhinder were discussing their upcoming refueling stop at Heathrow Airport in London, England. The Boeing 747 was flying due east at 31,000 feet when Bhinder made contact with air traffic controller Michael Quinn in Shannon, Ireland, to confirm the flight path into London. Without warning, a suitcase bomb detonated in a rear cargo hold. It blew a hole in the fuselage, forcing the aircraft to split from front to back as the 307 passengers and 22 crew were thrown out. At 7:13 a.m. Greenwich Mean Time, Air India Flight 182 disappeared from Quinn’s radar screen. Panicked, he radioed other flights in the air, but no one could see the doomed plane. Quinn then called the marine rescue centre at Shannon Airport and provided Air India’s last known location. The merchant vessel Laurentian Forest was carrying newsprint from Québec to Dublin, Ireland, when it received an emergency call about 8:30 a.m. The ship was already in the area and soon found the nightmarish scene: the ocean was strewn with bodies and debris. Crewmen Daniel Brown and Mark Stagg spent hours in a small lifeboat attempting to recover bodies from the sea as they were bashed by waves. 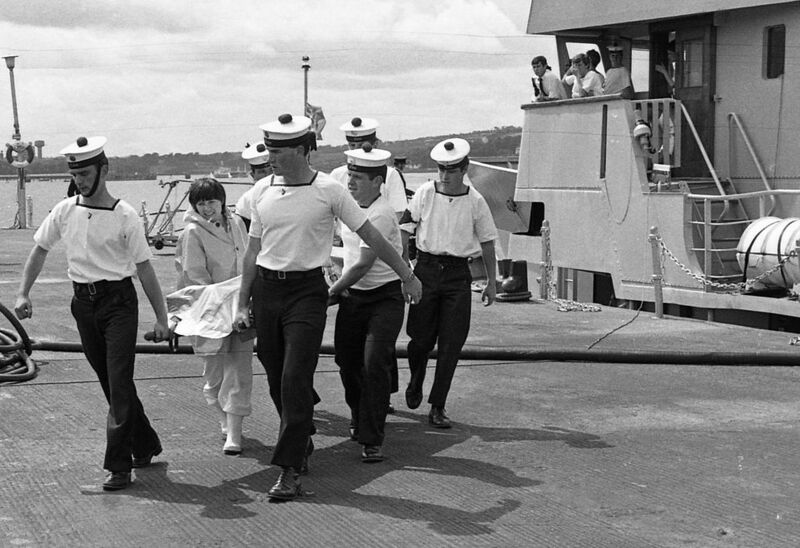 Irish naval personnel remove the body of a victim of the Air India Flight 182 terror attack, during the search for survivors in June 1985. A British Royal Air Force (RAF) reconnaissance plane dropped flares to guide rescue vessels and helicopters to the wreckage. An RAF helicopter was also quick to respond. The Irish naval ship Aisling arrived just before noon and took control of the scene and dispatched an inflatable boat with a three-person crew. They spent hours picking up bodies — 38 in all. Eventually 19 vessels ranging from warships to small fishing boats were on the scene. Despite their heroic efforts, just 132 bodies of the 329 victims were recovered. They found no survivors. News of the Narita bombing and Air India disaster reached Canadians on the morning of 23 June. Media reports soon made the link to a suspected terrorist attack hatched in British Columbia by Sikh separatists advocating retaliation against the Indian government. The Canadian Security Intelligence Service (CSIS) had only existed for 11 months at the time of the bombing. But agents had already amassed a large file on the suspected mastermind, Talwinder Singh Parmar, and his associates. When CSIS agent Ray Kobzey first heard about the bombing, his immediate thought was that Parmar was behind it. Some CSIS agents working on the Sikh separatist file later said they weren’t completely familiar with the new agency’s policies at the time of the bombings. There was confusion about how much information CSIS was supposed to share with the RCMP — an issue that would plague the investigation for years and lead to the destruction of hundreds of hours of intercepted calls between Parmar and other suspects. Initially, a huge contingent of RCMP officers was also assigned to the case — the biggest mass murder investigation in Canadian history­—although the RCMP resources committed to the case diminished over time. Meanwhile, Japanese police had painstakingly collected evidence from the Narita blast that pointed to Reyat. Irish police were gathering wreckage collected from the ocean and dealing with the victims’ remains at the hospital in the city of Cork. While some victims were citizens of India, most were Canadians of Indian origin. Investigators zeroed in on Reyat, Parmar, Bagri and a man named Surjan Singh Gill, who had resigned from the Babbar Khalsa just days before the bombings. It appeared that police were making good progress, especially when search warrants were executed at the homes of several suspects in November 1985. But the only charges laid were minor ones against Parmar and Reyat involving possession of explosives for the bomb tests. The charges against Parmar were later dropped, while Reyat received a $2,000 fine for possessing explosives. Reyat moved his family to England in 1986. He would eventually be charged, extradited back to Canada and convicted of manslaughter in the Narita bombing. He received a 10-year sentence. Parmar slipped out of Canada in 1988 and set up a base in Pakistan. He was killed in India in 1992. Indian police in Punjab falsely claimed he was caught in an “encounter,” but in fact he was arrested, tortured and killed in custody during a crackdown on separatists there. By the mid-1990s, the Air India investigation had stalled. There were few officers working on the file. There were few tips coming in. Bass was highly critical of CSIS's earlier decision to erase its wiretap recordings of the Air India suspects. He wrote a scathing memo in 1996, saying that charges could have been laid years earlier if the tapes had been saved. The RCMP succeeded in getting key witnesses to co-operate, including newspaper publisher Tara Singh Hayer. Once a Sikh separatist himself, Hayer had written against the Air India suspects in his Indo-Canadian Times newspaper. He had also been shot and paralyzed in a 1988 assassination attempt after he had published incriminating information against Bagri. Shortly after police announced they had sent their Air India file to prosecutors for approval to lay new criminal charges, Hayer was shot to death in the garage of his home in Surrey, British Columbia. On 27 October 2000, Ripudaman Singh Malik was arrested at a private school he had founded in Surrey. Ajaib Singh Bagri was also arrested, outside his home in Kamloops, British Columbia. They were charged with conspiracy to commit the first-degree murders of those who died aboard Air India Flight 182. They also faced similar charges in the deaths of the two Japanese baggage handlers. Bagri was also charged with attempted murder in the 1988 Hayer shooting. 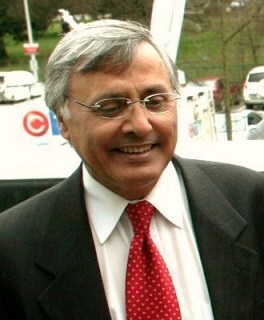 Ujjal Dosanjh, premier of British Columbia (2000-2001), pictured here as a member of Parliament in 2011. Police promised more arrests after Malik and Bagri were in custody. On 29 October, Vancouver School Board custodian Hardial Singh Johal was picked up. He had long been a suspect in the conspiracy, but the evidence against him seemed thin. He was released a day later and never charged. Then there was Reyat, identified on the criminal indictment as a co-conspirator but not yet charged. He had been extradited from England to face charges only in the Narita bombing. But in June 2001, Reyat was charged at a BC prison with first-degree murder in the deaths of the 329 Air India victims. The three accused were held at the Vancouver pre-trial jail. A new high-security courtroom was built in the city's downtown at a cost of more than $7 million. Before the trial started, Reyat agreed to plead guilty but only to manslaughter. There was widespread belief that he would implicate the others when he was called as a prosecution witness. He was sentenced to just five years in prison for his role in the deaths of the 329 Air India passengers and crew. The trial of the century, as many observers called it, began at the British Columbia Supreme Court on 28 April 2003. The courtroom was packed with families of the victims who had been awaiting justice for 18 years. There were relatives and supporters of the accused and there were many journalists and police in the public gallery as well. Lead prosecutor Bob Wright laid out the Crown’s case, saying that both Malik and Bagri had conspired with the late Talwinder Parmar, Reyat and “unknown” others to bomb India’s national airline. Lawyers for both accused men then said the Crown’s case was weak and relied on witnesses with grudges against Malik and Bagri. Over the next year and half, 115 people would testify in the trial before Justice Ian Josephson. 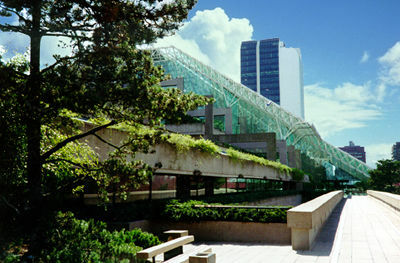 The courthouse in Vancouver, British Columbia. The star witness against Malik was a former daycare supervisor at his private school, who claimed he had confessed to her after their friendship blossomed. The woman, whose identity was shielded by court order, was forced into the witness protection program after she was threatened repeatedly. Narinder Singh Gill, a former school director, testified that he heard Parmar talk about a violent plan to retaliate against the Indian government. He also said Malik urged him in 1997 not to co-operate with the police and offered to pay for him to consult a lawyer. Another former Malik associate, whose name is protected by court order, testified that Malik asked him to carry a suitcase onto an Air India flight, and that Malik said he wanted "to teach the Indian government a lesson." A second man also testified that Malik once asked him to carry an attaché case containing a bomb to Vancouver International Airport. There was also “John,” a colourful and controversial witness from New York who grew up in Bagri's boyhood village in India. He was an informant for the United States Federal Bureau of Investigation and claimed that Bagri once confessed to having a role in the Air India bombing. Reyat was also called to the stand in September 2003. Instead of co-operating with the prosecution, he repeatedly claimed he couldn’t remember key details of the Air India plot and said nothing against his former co-accused. The defence also called a series of witnesses, including Mindy Bhandher, an admitted gangster who has since been convicted of murder. He cast doubt on the key testimony of two witnesses against Malik. Some of the other defence witnesses were also suspects in the bombing but denied their involvement when questioned in court. The trial ended on 3 December 2004. Justice Josephson announced he would deliver his verdict in March 2005. The RCMP provided funds for relatives of the victims around the world to fly to Vancouver for the verdict. Many assumed they would finally have some justice. Instead, they gasped and sobbed when Josephson found both men not guilty and said the Crown’s evidence had fallen “markedly short.” Both Malik and Bagri walked out of the courthouse with their families within an hour. Devastated families of the victims renewed their calls for a public inquiry into the bombing. The federal government resisted at first but then appointed former Ontario premier Bob Rae to do a review and make recommendations on the scope of an inquiry. On 23 June 2005, the 20th anniversary of the bombings, Liberal Prime Minister Paul Martin attended a memorial service in Ahakista, Ireland, with victims’ families. It was the first time a Canadian prime minister had visited the Irish memorial, which was built right after the bombing. In November 2005, the Martin government agreed that Rae would hold a limited public inquiry. 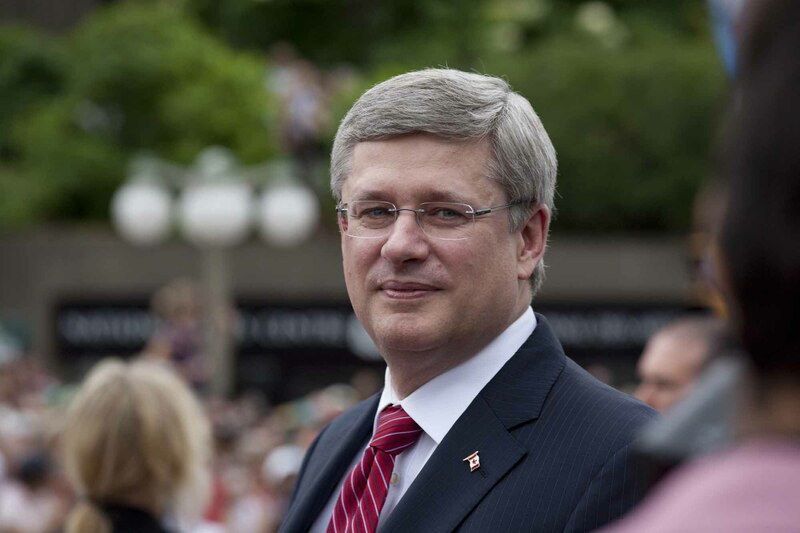 When the Conservatives under Prime Minister Stephen Harper won power in January 2006, they announced an expanded judicial inquiry headed by retired Supreme Court of Canada justice John Major. Over 18 months, Major heard repeated stories of missed warnings about the bombing. There was a June 1985 Air India telex message that suggested planes could be targeted by "time delay devices." And Ontario Lieutenant-Governor James Bartleman testified that, as a senior intelligence official in the federal Department of External Affairs, he saw a security "intercept" with a specific warning of a threat against the airline on the weekend of the bombing. The inquiry also heard about tensions between the RCMP and CSIS, including petty rivalries, confusion about policies and general disarray in intelligence work leading up to the bombing. Ujjal Dosanjh, by this time a Liberal member of Parliament, and Tara Hayer’s son, Dave, then member of the British Columbia legislature, testified about the climate of fear that existed in BC's Indo-Canadian community for two decades. Extremist threats, attacks and even the murder of Hayer's father have all gone unprosecuted, they said. On 17 June 2010, Major released a 4,000-page, five-volume report making 64 recommendations. He chastised successive Canadian governments for treating the relatives of those who died in the nation's deadliest terrorist attack as "adversaries, as if they had somehow brought this calamity upon themselves." He said they deserved an apology and compensation – a recommendation Prime Minister Stephen Harper immediately accepted. Major called for the federal government's National Security Advisor to be given responsibility for preventing turf wars between agencies. He also called for a national director of terrorism prosecutions, a new coordinator of witness protection for terrorism cases, and sweeping changes to close the gaps in airport security. A week later, on the 25th anniversary of the bombing, Prime Minister Harper issued a formal apology for the errors that were made by government agencies both before and after the tragedy. On Sept. 19, 2010, a jury convicted Inderjit Singh Reyat of perjury for lying at the Air India trial. When Justice Mark McEwan sentenced him to nine years, he said Reyat “behaved nothing like a remorseful man unwittingly implicated in mass murder. In the witness box, Mr. Reyat behaved like a man still committed to a cause which treated hundreds of men, women and children [as] expendable,” McEwan said. Reyat was released to a halfway house in January 2016. A year later, the parole board said he could now move back home. Final Report of the Commission of Inquiry into the Investigation of the Bombing of Air India Flight 182, by Commissioner John Major. The Families Remember, Report of the Commission of Inquiry into the Investigation of the Bombing of Air India Flight 182.